At Take a Peek, we understand that not everyone wants a 4D scan; hence why we have 2D growth scans which allow us to monitor your baby’s well-being. Are you approximately 26 weeks pregnant? It is around this time during your pregnancy that we can visualise the growth of your baby - we can also check on their position in the womb - identifying the location of the baby’s head and feet. Our baby growth scan is useful for determining your baby’s weight. 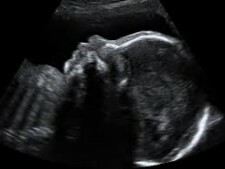 And as it’s a 2D scan, we can identify important factors of your child’s health and well-being. This may be the final time before baby is born that you will see your little one, and we understand that you will want to remember this moment for the rest if your life, therefore we print off 2 black and white thermal images of the scan - allowing you to take the memory away with you once you leave your appointment at Take a Peek.